EAGAN, Minn. — The Minnesota Vikings have signed guard Dakota Dozier, adding more depth at a position in flux. The deal was done Thursday with Dozier , who played the past five seasons with the New York Jets after being drafted in the fourth round out of Furman. He was a first team Associated Press FCS All-American in 2013. 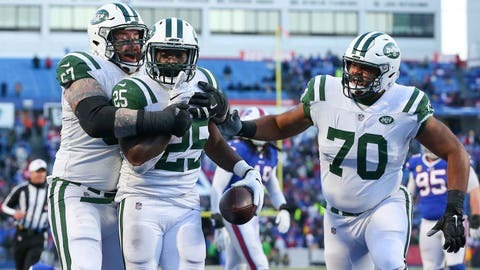 The 6-foot-4, 313-pound Dozier started two games last season for the Jets, playing under current Vikings offensive line coach and running game coordinator Rick Dennison. Recent free agent signing Josh Kline will likely start at right guard, so Dozier could wind up competing with Danny Isidora and Brett Jones for the left guard spot. Left tackle Riley Reiff could also move to left guard if the Vikings use a high draft pick on a left tackle.